Originating in 2001 and broadcasting on South Florida/Miami FM airwaves until 2009, the Positive Progression Sessions was a staple favorite weekly show in the area's EDM scene for eight years strong. Debuting worldwide via Internet broadcast in 2003, the show, and host DJ Josh Wetherington, continued gaining exposure and notoriety both locally and internationally. 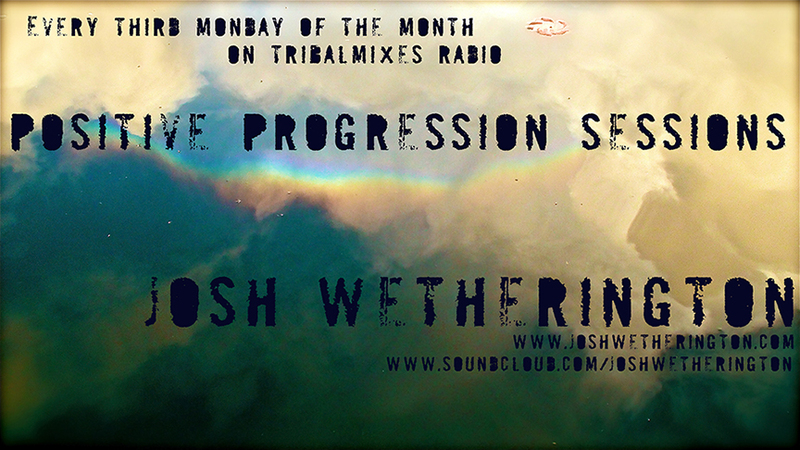 After a Three year hiatus, during which host Josh Wetherington released his first full length artist album, entitled “Dawn Breaks The Ego,” a steady stream of original productions and remixes, and performed at clubs, parties, and festivals all over the U.S. and overseas, the Positive Progression Sessions is finally back, having found its new home on Tribalmixes Radio. From its vinyl roots in 2001, growing and navigating through the subtleties of sub-genres over the years, the show continues to evolve, bringing new waves of electronic dance music, along with well-respected underground guests, episode after episode, each and every month on Tribalmixes Radio.